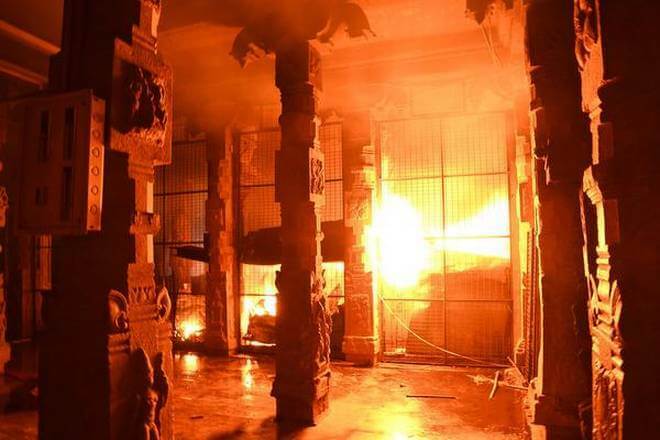 The world most famous Meenakshi Amman Temple shopping complex near east entrance was under fire last night. More than 30 shops were damaged and as per the reports there was no damage for the temple buildings and 1000 pillar mandapam which is nearby. 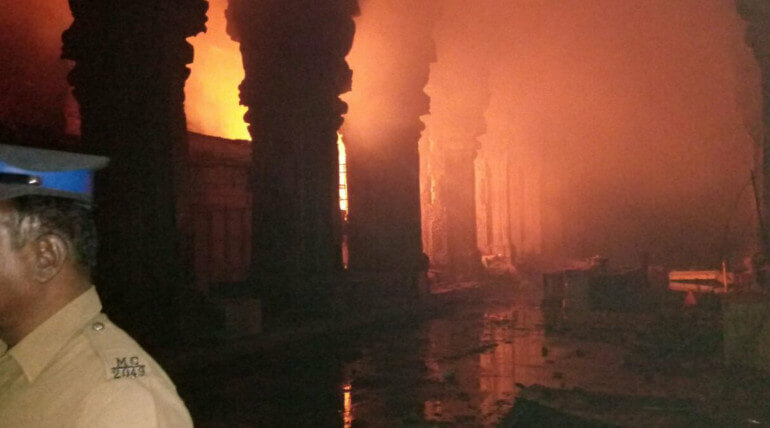 The fire broke out in the shops near 1000 pillar mandapam in the temple. The fire service rushed to the spot and controlled the fire. 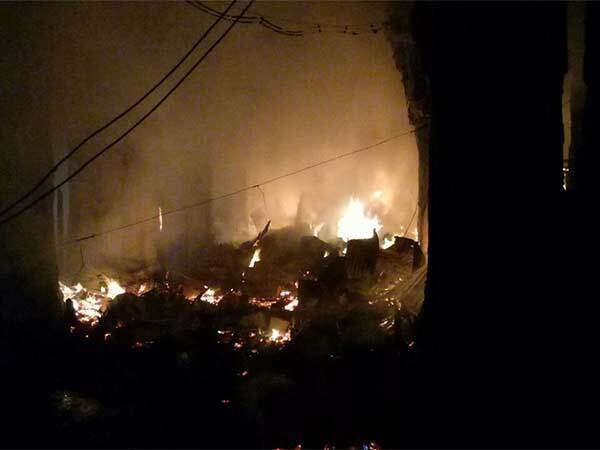 Almost 60 fire service men worked to control the fire and involved in rescue operation for about 5 hours. The fire was controlled before it spread to the main areas. No loss of life or injuries reported, but several Pigeons that had the roof of temple as its house were died. The big wooden door of the temple entrance was saved with swift preventive action. Collector said the team will investigate on this incident and to notice whether shops there have proper permission. The temple was reopened for devotees. There will not be any difficulties for the devotees to dharsan deity. The officials said there is no modern way of fire exhauster inside the temple but there is fire engine always ready at the temple block. The temples are one of the highly important parts of Tamil cultures. Meenakshi Amman temple is a historic treasure that has been a educational centre of developing culture, literature, music, dance and art over the centuries. It has the close connection with Tamil Sangam literature. Last year October the temple has been selected as the best 'Swachh Iconic Place' in India.